Having begun her spiritual journey eight years ago, Anjana Sahney Thakker has come a long way with her passion for holistic healing. Recently, You & I caught up with this therapist and counsellor who’s doing her best to make this world a better, healthier, more positive place in which to live. What does a holistic healer do? How do your sessions go? Holistic healers each have their individual ways of working. I use different forms of therapy, concentrating on the relationship people share with their world, and on how it is expressed through their senses of feeling, thinking and being. I choose the most appropriate combination of therapies depending on the individual and his situation. This typically takes one hour per appointment. For example, a client may want to undergo Reiki. I first try to understand what’s happening with him; sometimes, you just need to talk and release. Another client may need much deeper healing, as a lot of issues come from what we hold onto from our pasts – anger, resentment, bitterness, sadness or regret. It’s very difficult to say what a ‘typical’ session is like; each could be (and often is) very different. In today’s world, people are afraid to share their emotions for fear of being judged. They get so drawn into what is not real, and what people may say, that they can’t be their actual selves. I try to help them overcome these issues. Holistic treatments work to improve the overall well-being of mind, body and spirit – not just the physical aspect in which manifested illnesses are most apparent. In this busy and stressful world, it is all too easy to focus on the problems around us whilst forgetting to look after ourselves. We routinely have our cars serviced but seldom do the same for ourselves. Many physical ailments are manifestations of our negative thoughts and emotional blocks, and my treatments address the root causes of illnesses. Reiki is a Japanese stress-reduction and relaxation technique that promotes healing and balances life force energy. It is a simple, natural and safe method that is effective in helping virtually all illnesses and maladies. Bach flower therapy is the use of specially-treated floral dilutions; these correct emotional imbalances by replacing negative with positive. 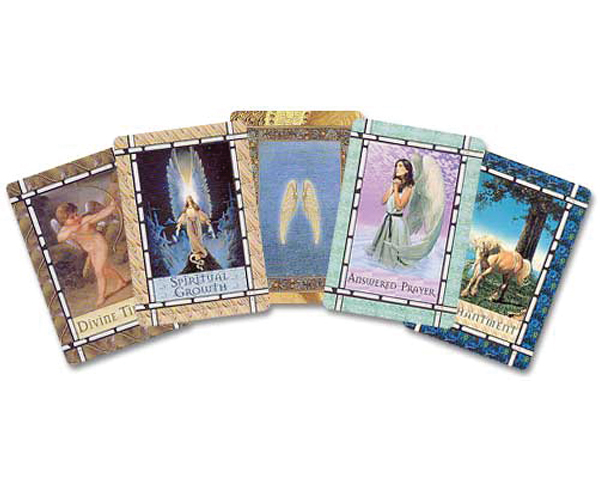 Angel cards offer insight into relationships, careers, and finance, making it a powerful tool for those seeking guidance. Emotional Freedom Tapping (EFT) is a psychological acupressure technique based on the same energy as meridians used in acupuncture, and treats physical and emotional ailments. Art Therapy is the use of artistic methods to treat psychological disorders and enhance mental health. It helps clients communicate, alleviate stress and explore different aspects of their own personalities. And what exactly is Shamballa? Shamballa is my effort to bring harmony and equilibrium into peoples’ lives through holistic and alternative practices like Reiki, EFT, Bach flower therapy, angel card readings, chanting and meditation. The essence of Shamballa is a place to just be, to discover and learn to love yourself. I love to share all that I experience, see, learn and understand. In June, my husband and I went to a concert by Deva Prema, a musician known for her meditative, spiritual New Age music that puts ancient Sanskrit mantras into atmospheric, contemporary settings. Both of us enjoyed the experience tremendously; it was uplifting, peaceful and wonderful. As soon as we got back home, I organised a Shamballa group during which we chanted to her music. Ever since, we’ve had around eight such sessions between Hyderabad and Bengaluru. There is no such thing as a common problem. People come to me for different reasons. Some are physical, some are emotional, and others just come seeking answers or direction. Initially, yes. I was judged by many people; this is a new path and remains unknown to most. I really must thank my friends and family, especially my husband Milind and my two boys, Karan and Arjun, who have been amazing support. I would not be doing what I do without their love, support and strength.